African Savanna, the classic of classics... A timeless children's theme in which the design studio E-Glue wanted to bury itself for the first kids wallpaper murals collection. This scene, both peaceful and fun, depicting some savanna animals by the water, becomes the masterpiece for a kids bedroom or baby nursery wall decor. 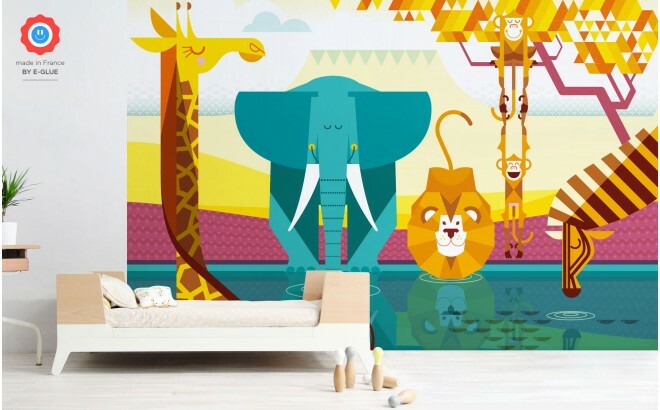 All wall murals XXL and pattern wallpapers are designed by the studio E-Glue, therefore ensuring a great customer service and high quality finish from design to paper selection, printing process to product, then secure packaging to delivery. 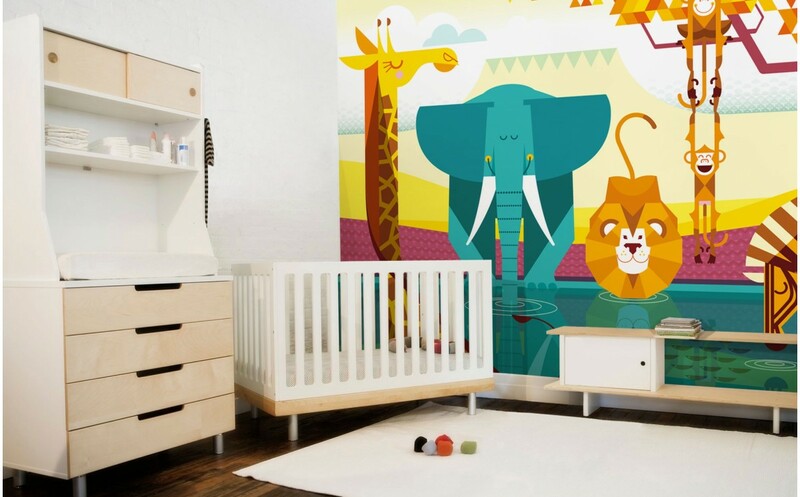 Our graphic research focuses on finding the right balance between illustrated scenes and wall décor, combining baby / kids characters and decorative style. The originality of E-Glue wallpapers and murals is based on clean shapes, refined patterns and characters, wall décor without any perspective effects, particularly well suited for kids spaces. Graphic plays, solid colors, decorative patterns and bright colors are always the daily menu for our kids’ room collection.